This luxury self catering barn near Ledbury sleeps 6 people in 3 bedrooms. 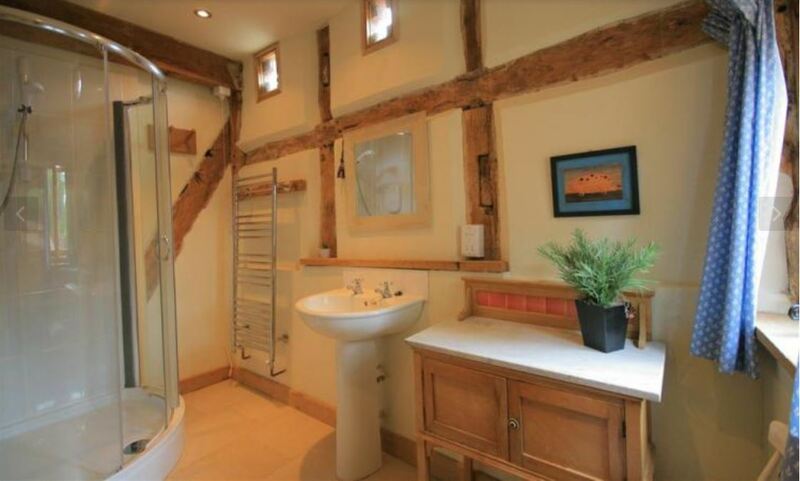 The barn has been stunningly converted to incorporate original features such as beams and original cross windows, along with modern touches including underfloor heating. 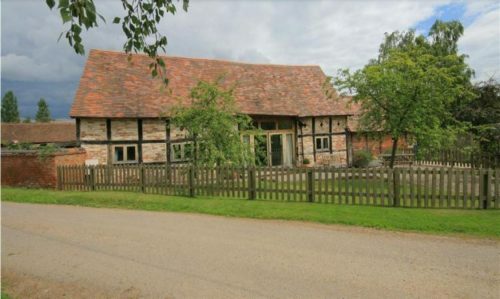 Whites Farm Barn is rurally located, south of Ledbury and is surrounded by open countryside. There are three bedrooms – two doubles and a twin. 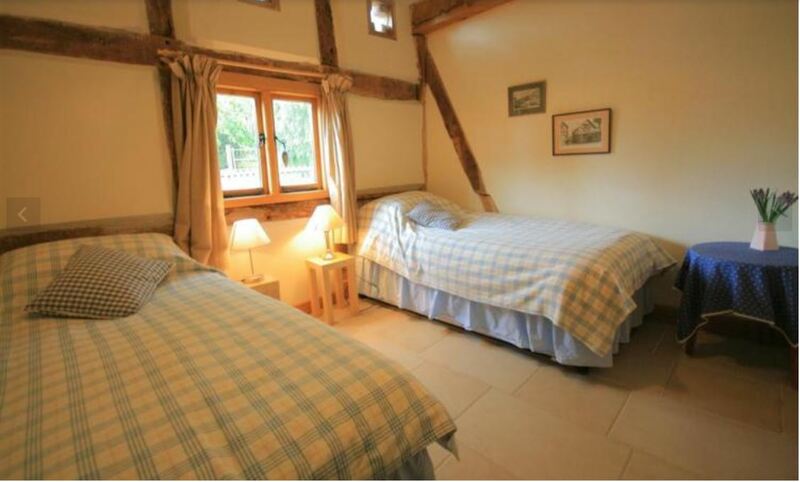 One of the bedrooms, the twin room, is on the ground floor along with a shower room with large, walk-in, shower. 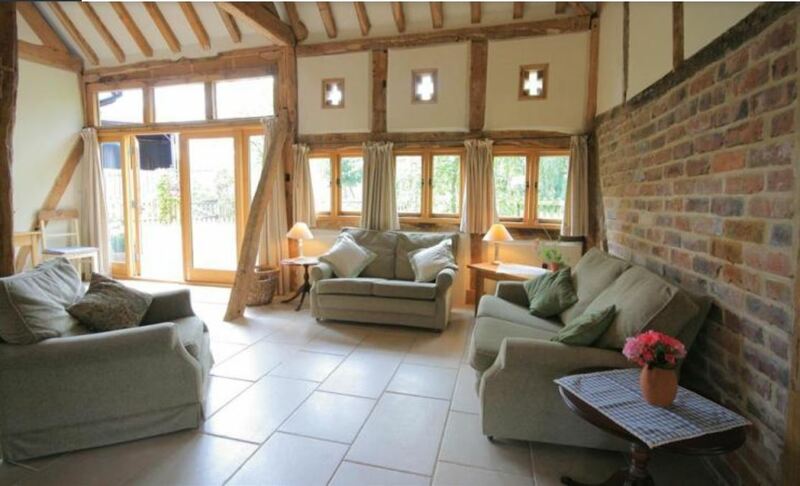 This property may be suitable for assisted wheelchair users, but please check that it meets your requirements. 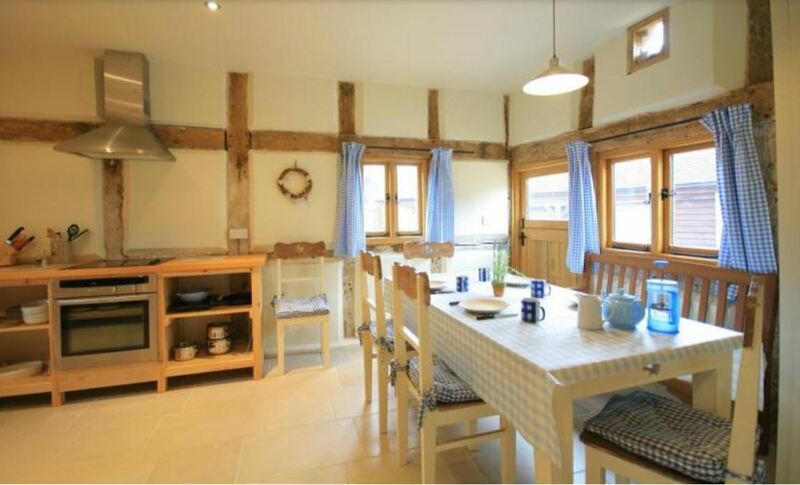 Also downstairs is a very spacious, open plan, living/dining/kitchen area with all the appliances you would expect in a modern, self catering home. 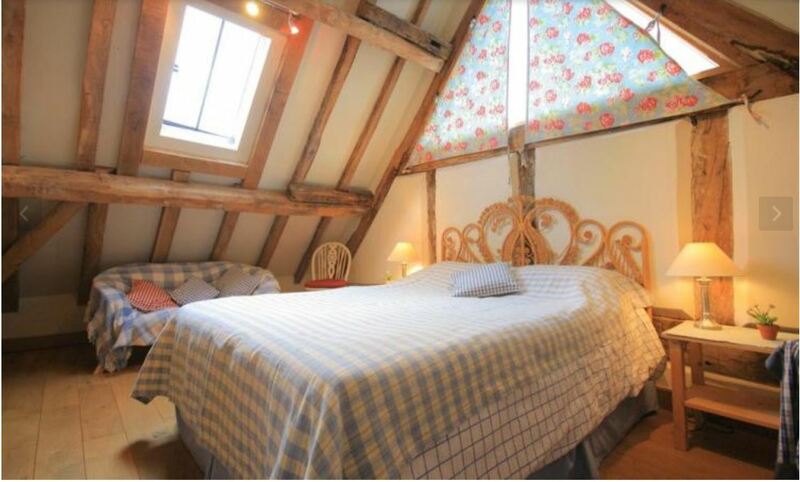 Upstairs are the two double rooms – one with king size bed, and a separate bathroom. Outside there is an enclosed garden area. 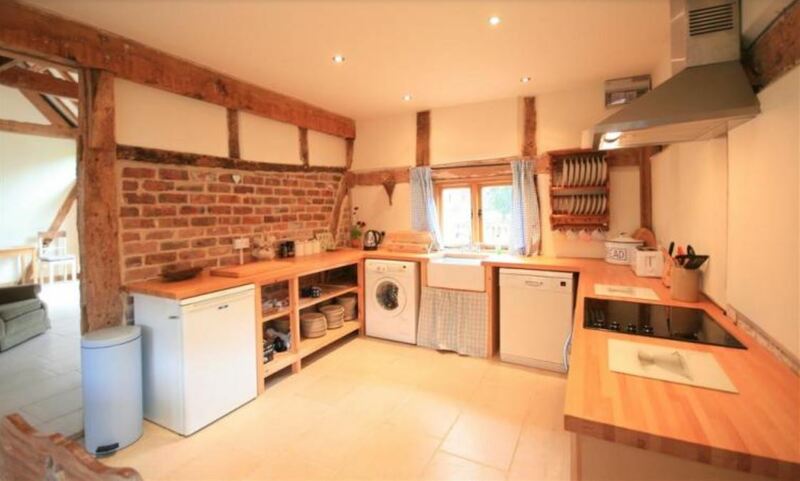 This property is not suitable for children under 5 years, unless they are babes in arms. 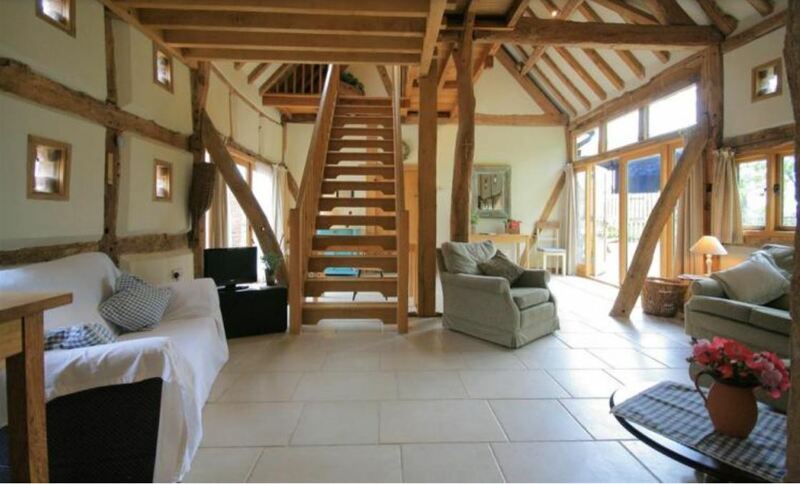 To book Whites Farm Barn, click HERE.